The more familiar your company is with our products and systems, the easier it is to sell, design and fit them. 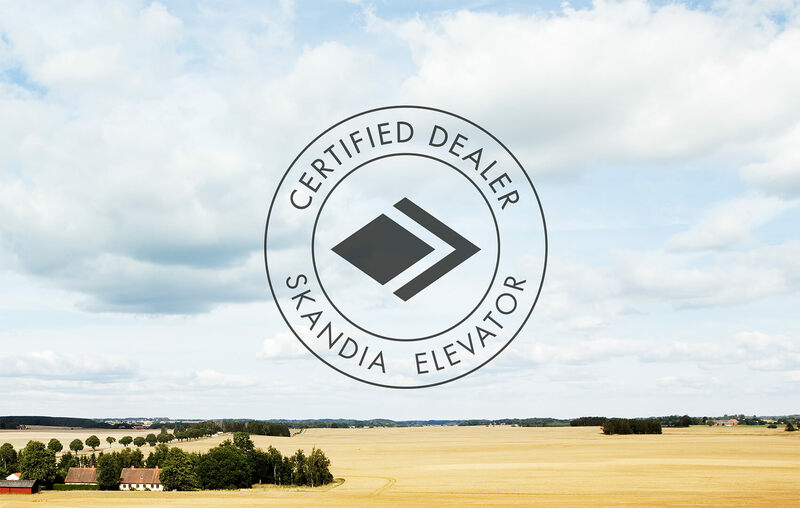 Skandia Academy is a completely free, two-day training course where your company becomes a Certified Skandia Elevator Dealer and staff from your company can become experts on our conveying systems. 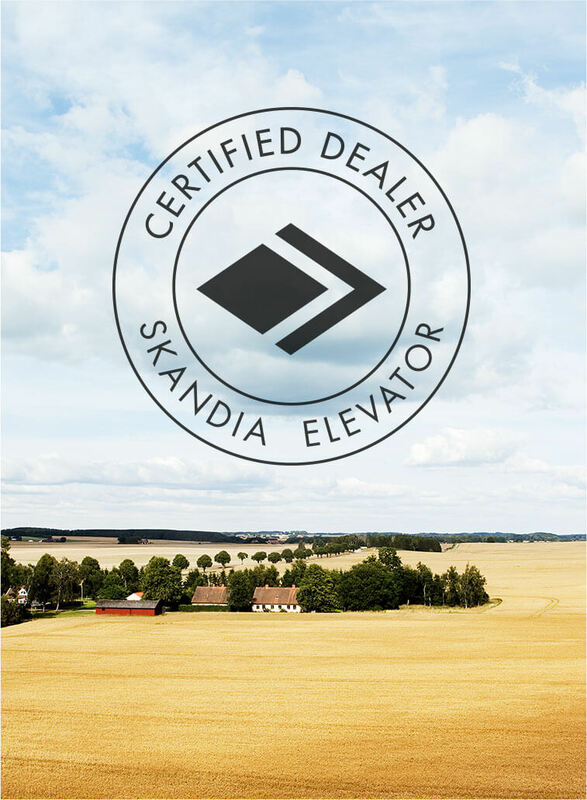 Becoming a Certified Dealer guarantees to your customers that you are fully familiar with Skandia Elevator ranges and systems. This is a quality hallmark that inspires confidence and a sense of security. At the same time, it will make your day-to-day work easier, quicker and more profitable. Training takes place on site at our plant in Arentorp and includes both theoretical and practical elements. Courses are held in either English or Swedish, depending on course participants. To become a Certified Dealer, you need to train at least one sales manager, one project designer and one assembly technician. As a sales manager, you have to have a considerable insight into many different areas and be able to find the best, most affordable solution for the facilities of each and every customer. Our trainers look at areas such as product knowledge, selling points and pricing. Most emphasis will be placed on product and system knowledge. Participants will learn how our various products can be combined with one another and about the tools we have to help with project design work, such as price lists and CAD blocks. For assembly technicians, the primary emphasis in this training course is on assembly of the machines and the connections between them. The schedule includes a number of practical exercises. We also take a look at safety, troubleshooting and product maintenance. NB! Last day to register is Friday December 14th. NB! We will cancel the course if we do not get enough registrations so please do not make any plans or reservations until we have confirmed it’s ok! If you and your staff do not have the opportunity to visit us in Arentorp, we can organise on-site training at your site. Contact academy@skandiaelevator.com for more information. There are three different specialisations for this course: one for sales managers, one for project designers and one for assembly technicians. We have chosen to split up the course in this way so as to provide the most effective learning for the various specialisations in the time allowed. Skandia Elevator will pay for the training, accommodation and all meals, while you will pay for travel to and from Arentorp. Skandia Elevator can organise a free collection and drop-off service between the hotel and Landvetter Airport. For anyone living outside Sweden, the simplest way of getting here is to fly to Landvetter Airport (GOT), Gothenburg. Driving is a convenient alternative if you live in Sweden. We recommend that you arrive the night before the first day of your course as the course starts early on day 1. The course ends at around 16:00 on day 2, and you should not book departures earlier than 19:00 so that you have time to catch flights. NB! If you register, please do not organise any travel until you have received confirmation of participation from us. Hotel Lumber & Karle in Kvänum will provide your accommodation. Breakfast and dinner will be served at the hotel, and lunch will be served on site in Arentorp. Our experienced staff provide the training at Arentorp. Find out more here about the course and what the various training blocks include.